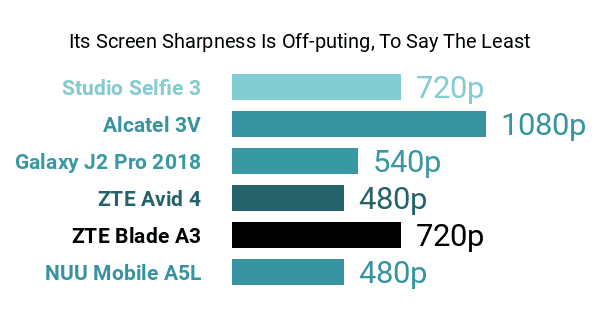 Simply put, the 2018 NUU Mobile A5L is an Android Go smartphone that's riddled with elementary pros and cons, such as a sub-standard (as of this specs-based review) 5.5-inch 480p IPS display that at least mimics some high-class phablets with its wider-than-usual 18:9 aspect ratio -- most tantamount models stick to the 16:9 solution only. It runs on a basic MediaTek 1.3GHz quad-core processor coupled with only 1GB of RAM , a typical hardware combination among 2018 essentials-only Androids. Moreover, it does not go beyond a 2650mAh battery capacity , consequently floundering in comparison to a few of its entry-level contemporaries, those that the 3000mAh threshold, that is. Just like most other Android Go Edition phones on the market, the A5L's hardware cons are matched by a watered-down version of the Android 8.1 Oreo ecosystem. This means that this NUU model comes with re-imagined Android applications designed to eat up less phone storage, boost its overall performance, and maximize mobile data allocation. It also comes with dual SIM card slots , which we consider a typical, yet welcome pro, insofar as the entry-level Android category is concerned. The NUU A5L is loaded with tolerable 16GB internal memory that can be expanded by up to 64GB , whereas many of its slightly-older rivals shown here on Phonerated stick to 8GB-only native storage caps and support 32GB microSD cards only. 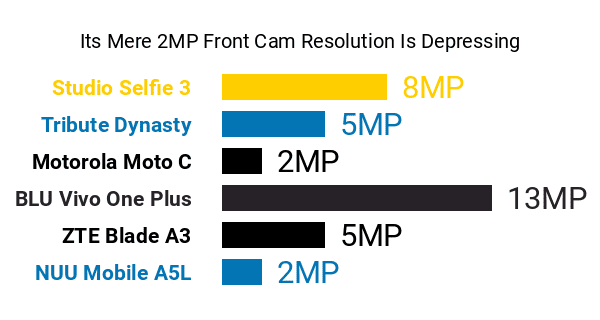 The remainder of its pros and cons include a so-so 8-megapixel LED-flash main camera with standard HDR support as well as a dinosaur-esque 2-megapixel-only front-facing secondary cam . Also on board is a circular fingerprint scanner perched right above the brand logo on its back. Also joining in is a standard 4G LTE network adapter, with a finish of either Gray or Silver tying everything together. All said, the A5L calls out to non-techies looking for a sub-$100 starter-class smartphone.